With the UFC bantamweight title currently vacant, the promotion is looking to set up the future of the division in short order. While they have elected to let Marlon Moraes and flyweight champ Henry Cejudo compete for the strap at UFC 238, they’ve also added a couple of top contender bouts at 135 to the card as well. 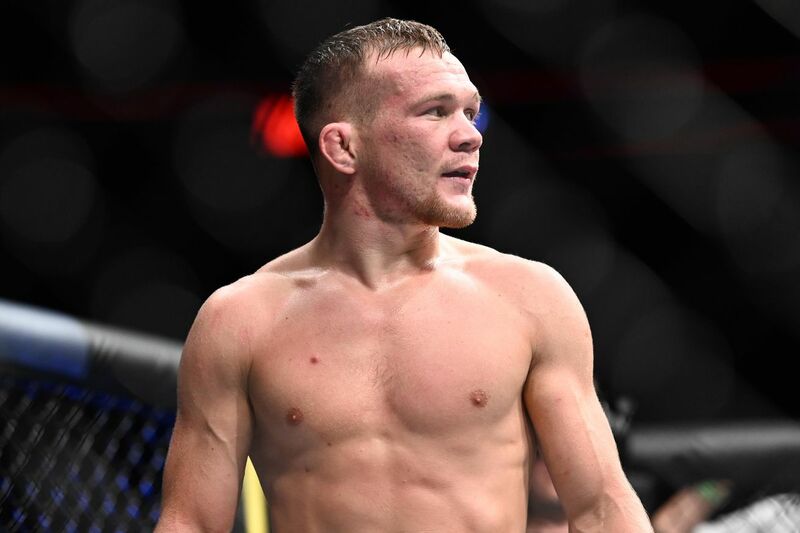 The latest will see Petr Yan face off with Jimmie Rivera on the June 8th card in Chicago. ESPN was the first to report the bout, which hasn’t been made official by the UFC as of yet. Yan (12-1) is perfect in the UFC in four outings thus far, most recently picking up a big decision win over John Dodson in February. This Petr Yan dude is a problem. Think he runs thru Rivera. Just seems to me that the UFC consistently fucks up matchmaking these days. Munhoz vs Yan made way more sense than Munhoz vs Sterling and Yan vs Rivera. Both Sterling and Rivera were not long ago brutally KOd by the likely champ. Rivera will still be in no-man's land if he beats Yan. Munhoz and Yan are on win streaks, and the winner goes in with far more momentum and excitement for a fight with Marlon. And it's a better fight.